Hey LA! Hey Film Lovers Everywhere! The people behind the amazing Vidiots video store in Santa Monica, CA need your help! Founded in 1985 by two life-long friends and film lovers, Patty Polinger and Cathy Tauber, Vidiots has been a vital contributor to Los Angeles film culture for over thirty years. 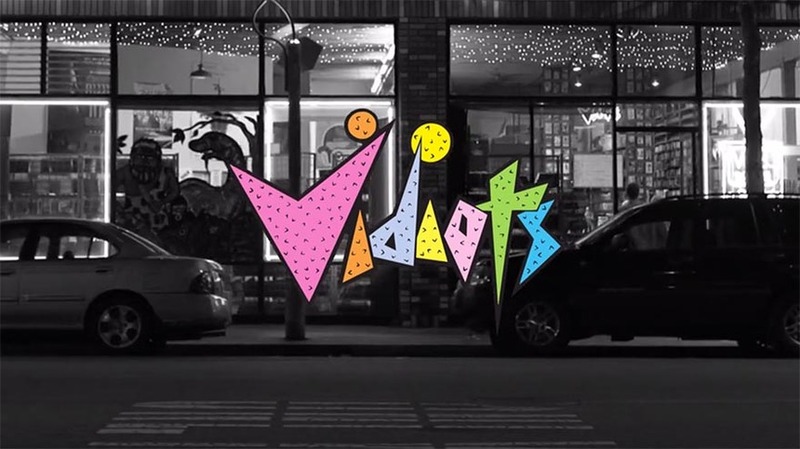 The Vidiots logo alone is one of L.A.'s most recognizable, but it's our library of over 50,000 titles, and our rare VHS collection that make Vidiots a one-of-a-kind resource for filmmakers and film lovers both present and future. Undoubtedly one of the most amazing video stores left in the WORLD, Vidiots is in dire need of funds. This is a non-profit movie archive that has one of the best collections of rare and out of print VHS tapes anywhere. What's more, they have a bunch of killer film education and archival programs to expand their reach outside of just finding that crazy movie you've been looking everywhere for. With only 3 days left, the good folks are down to the end. There's some cool incentives for you to check out the Indiegogo page. LA thanks you.